In most scenarios, you might be liable for tax debt after declaring bankruptcy. But in some very special cases discharge of tax debt is also allowed. Forgiveness of a debt or cancellation of a debt is called debt discharge. 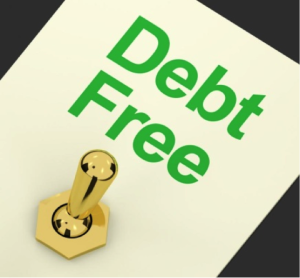 In taxable income to the debtor, debt discharge is the result; except, in case, the forgiveness of the debt is a bequest or a gift. Chances are, you as a debtor, are likely to have the discharge of debt in Chapter 7. Chances look very bleak in Chapter 13 bankruptcy because in Chapter 13 you have opted to repay all your debts on a slower pace. Not to eradicate them. So that means that in Chapter 13, the tax debt goes in your repayment plan. Before hoping for a discharge, you have to find out if you even qualify for it. Determining whether you qualify as a discharge depends on the following factors. As mentioned before, your tax debts have more likely chances of being discharged if you apply for Chapter 7 bankruptcy. But even in that case certain conditions have to be met. If you hide anything, you automatically disqualify. Tax evasion of any sort or type will not be tolerated. If you have committed any trick to avoid taxes, like changing your name, alternating the spelling of your name with a few alphabets, failing to pay your taxes on repeated bases, having a hidden bank account, changed your social security number then you do not qualify at all. You should not have a fraud record against the IRS at any time in the past. IRS keeps all the fraud records and they are presented at your bankruptcy hearings. Make sure that your tax debt is from a tax return that is three years of age or older. Meaning that you should make sure that it was filed in the very least three years, before you filed for bankruptcy. Tax debt is for income taxes. So that means that the discharge is for income taxes as well. Meaning, that you cannot offer penalties for fraud or any type of payroll taxes as they do not qualify. Make sure that you filed a tax return in the past. And that is was completely legitimate. The tax return has to be at least two years or older to qualify. There are certain things that do not qualify as dischargeable in Chapter 7 bankruptcy. Like, tax penalties from tax debts. It is neither eligible nor dischargeable. If you have any un-filed taxes than they also do not qualify for tax debts. If you have any questions contact the bankruptcy attorneys at Walker Law Firm at (561) 689-1512. This entry was posted in BANKRUPTCY, Chapter 7 and tagged chapter 7 bankruptcy. Bookmark the permalink.